I traded an unhealthy Diet Coke for a half marathon finishers medal in my right hand! I thought I would share some of my personal history. I started to struggle with my weight about ten years ago. Up until that point, I could eat whatever I wanted, never exercise and easily maintain a slim figure. A few years before I turned 30 all that changed and maintaining my weight became a challenge. I only started working out and eating healthy when I looked in the mirror and I didn't recognize the person staring back at me. I felt like I was losing me. It took me a few years, a few ups and downs, to really figure out how to be healthy and lose weight the right way. Now I can see the weight gain and the learning process was nothing more than a blessing. I am only healthy today because the weight gain forced me clean up my eating habits and start exercising. If I had been able to maintain a slim figure, I would probably still be feeding my body unhealthy processed junk foods. I certainly would have never found the joy of running and working out. I probably would be walking around to this day as one of those skinny-fat unhealthy people. I consider myself lucky for all that weight gain. This is me, the before & after. I had a hard time finding a before picture because I had either deleted all the unflattering pictures of myself or cropped out my body. This one only survived because it was taken while on vacation for our wedding anniversary. 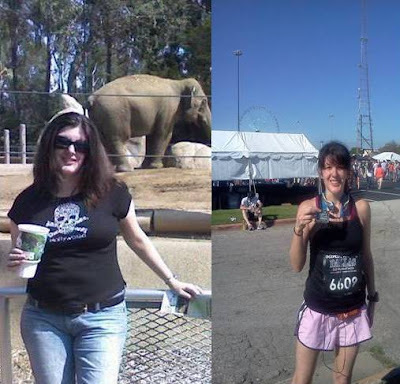 The first picture was me at my heaviest ever, I think back in 2007 or 2008 at the San Diego Zoo. When I originally shared this picture (on Myspace I think, ha ha) the day it was taken, I joked that there was an elephant in the shot and oh yeah, some kind of zoo animal in the background. That is exactly how I felt. I was not exercising, not eating healthy, drinking alcohol on a regular basis, and that undoubtedly is a extra large Diet Coke in my hand. The 2nd picture is from March of this year immediately after I finished the the Dallas Rock 'n Roll Half Marathon. 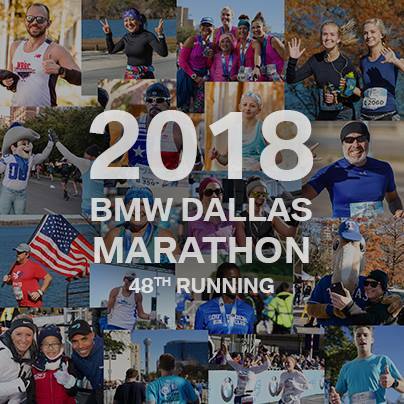 I just finished with a new personal record and achieved my goal of finishing a half marathon in under two hours. I was Sweaty, Healthy, Happy. The difference between the two pictures, besides the obvious 30 or 40 pounds, is a healthy lifestyle. The 2nd picture is the ultimate result of eating clean and exercising 5-6 days a week. This is a lifestyle, not a diet. There was no fad diet, no shake, no diet pill, no 12 week challenge. There was a lot of running, a lot of weight lifting, and a lot of early mornings! This didn't happen overnight and honestly speaking, I lost and gained some of this weight several times between the two pictures while I was learning about how to get healthy the right way. I look at this picture today and it is a (not-so) friendly reminder of what an unhealthy lifestyle looks like. I can barely remember that girl, and as I type this and reflect on that person that I once was, I am more motivated than ever to continue my journey to be a better, stronger, healthier person. Time to go hit the streets for my Sunday morning run! Congratulations! I love a good transformation story. Wow! What an inspiration! And I love that you did it all with clean eating and exercise! You look fabulous! Impressive in every way. Congratulations! I am preparing to make a huge change for myself and my family (healthy eating, more exercise, being good to myself). Scared but know it will be worth it. Thanks for the inspiration. Blog Contest Winner Announced Here!